Honestly, when I first saw this photo, I had no idea what I was looking at. I knew it was an animal but I had to no idea where the head or tail even was: the fur on this poor thing was just that overgrown. It turns out underneath this heap of unruly fur was one sweet matted dog… and a very neglected poodle. Named Ginger, this 14-year-old (yes, 14!) darling had been surrendered at a Texas facility by an owner who admitted they just could just not care for the dog. 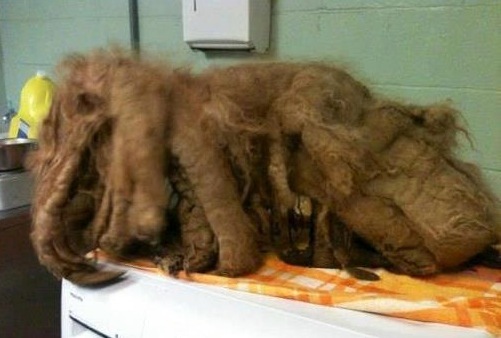 It's a shame they hadn’t surrendered this poor pup a long time before the pooch got into this condition. 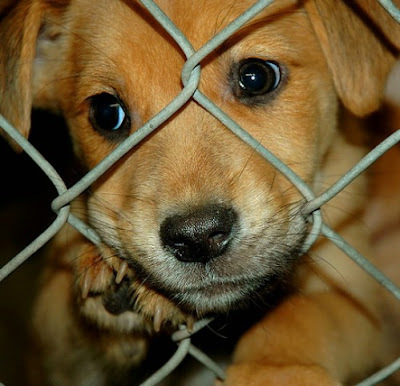 I know there is a special place in heaven for animal rescuers. Everyday they work continuously to help the helpless animals who would otherwise have absolutely no one they can count on to save them from their dire situations. Puppy mill rescuers in particular are my heroes. 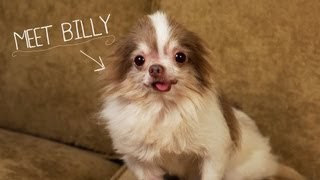 So, when I was sent this video from the Humane Society detailing the story of Billy the Chihuahua, and Adam, his rescuer, I was moved to tears. Adam is just one of the many fearless and compassionate heroes who go into puppy mills to rescue the neglected (and often abused) puppies in them. When Adam and his team investigated a puppy mill in North Carolina, they found several puppies that were left to live their lives in filthy and inhumane conditions. Then Adam discovered Billy’s cage. 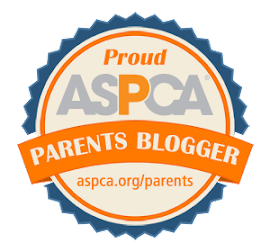 This month is Prevention of Cruelty to Animals’ month, and organizations like the ASPCA is planning special events to honor and help even more animals. It’s the perfect time to tell you the story of Vampiro, a sweet Chihuahua who was found starving to death and sick. This past January, Vampiro was abandoned at a pet store in Brooklyn, New York in this state (see photo). The store called the NYC Animal Care & Control, who quickly picked him up and took him into immediate veterinarian care. The team of vets said Vampiro was “emaciated, dehydrated and suffering from an untreated skin ailment, all caused by prolonged inadequate nutrition.” He was also blind. They immediately administered Vampiro IV fluids, medication, water and food. 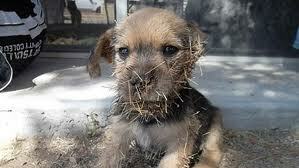 This little Yorkie/Terrier mix pup was surely a sight for sore eyes after he fell face first onto a cactus. The Phoenix pup, dubbed ‘Cactus Jack’ was found by a good Samaritan who heard the puppy’s distressful cries and horrifyingly discovered that the dog had become attached to a cactus. The person called the Arizona Humane Society who quickly came to rescue the poor pooch. The eight-week-old puppy received immediate care and the medical team finished the tedious job of removing each and every cactus needle. Amazingly, despite the amount of needles stuck in his face, his eyes remained unharmed. He was treated with antibiotics and given an otherwise clean bill of health. 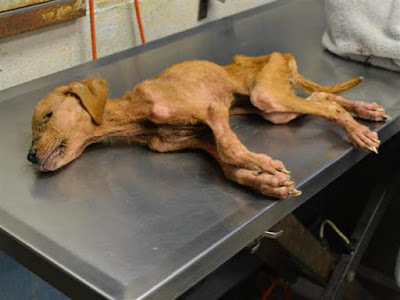 When this little puppy was discovered by the Friends of Dekalb Animals in Georgia in September of 2012, no one expected her to make it through the night. The staff rushed the pup to an emergency vet, knowing she would not survive in the shelter where she was given a 1% chance of surviving. 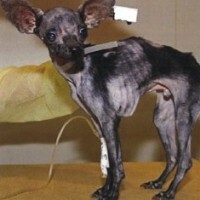 Staffers said they had never before witnessed such a devastating case of neglect.The dog weighed just four pounds. Then they gave her what she needed: love, immediate medical care, support and more love…. and little by little, it worked. Christmas Miracle! Dog and Blind Man Fall Onto Subway Tracks: Amazing Ending! 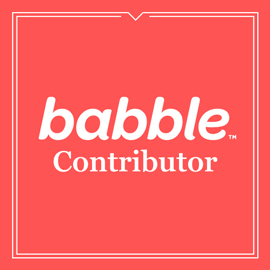 When I discussed Santa with my kids as each of them grew to an age where they started asking questions, I gently explained the real deal as gingerly as I possibly could. I carefully pointed out that every year without fail, an example of good will takes over, which I truly believe brings home the spirit of St. Nick. This is one such story. This tale of a Christmas miracle in which a blind man and a dog fall onto subway tracks just might restore your faith in mankind (both human and furry!). When 60 year old Cecil Williams was traveling on the subway with his seeing eye dog, Orlando, he suddenly felt faint, passed out, and fell onto the subway tracks in Harlem, NY. Orlando, also fell down with Williams and being the loyal Lab he is, the dog stayed right by the mans side attempting to help him. Before they both fell, Orlando did his best to bark and alert Williams to get away from the platform edge but Williams felt too faint to do anything about it. The train conductor saw the people on the platform who were frantically waving at the conductor, and noticed the man and the dog on the tracks but could not halt the immense train in time. At the same time, an MTA employee called out to the man to stay down.